Hot Cross Bun Gin Exists For A Hopping Good Easter! Easter is just around the corner and weird, wacky and wonderful treat trends are popping up on our radar like crazy! Today, we’ve set our sights on something that is just for the adults: Hot Cross Bun Gin! That’s right, if you’re a gin lover then you’re about to love Easter time a whole lot more… but you might have to enlist the help of your overseas friends! 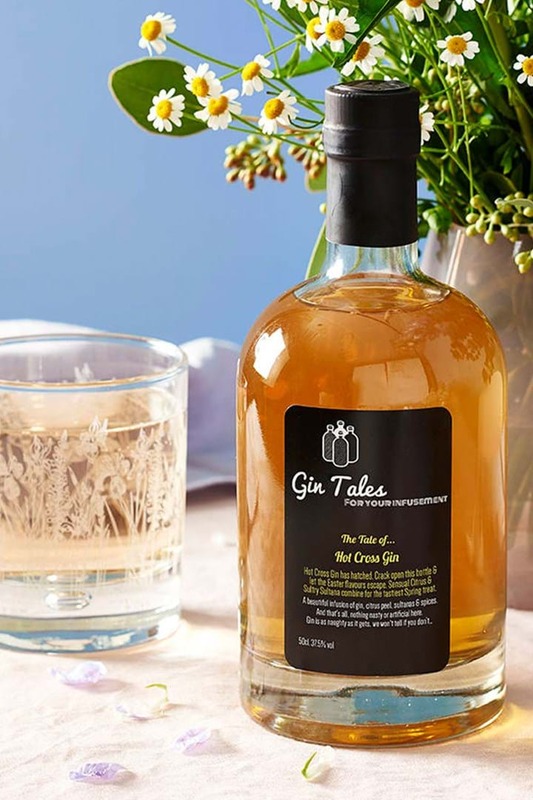 North London’s Gin Tales have created the Hot Cross Bun Gin, which is a London dry gin with infusions of fresh citrus fruits sultanas, cinnamon and nutmeg. Not only is it extremely tasty, but it’s made using all fresh and natural ingredients! "Hot Cross Gin has hatched... crack open a bottle today and let the Easter flavours escape. “Our Hot Cross Gin is an adult twist on an Easter favourite... leave the buns and chocolate for the kids, this is Easter for grown-ups!" But here’s the bummer - it’s only available in the UK, because international shipping isn’t currently available, which is why you should try to enlist the help of any friends who live overseas or are on holidays! Otherwise, why not book a trip for the Easter long weekend?